At the Divani Corfu Palace we offer the possibility of organizing your custom-made business or private events with our experienced staff. 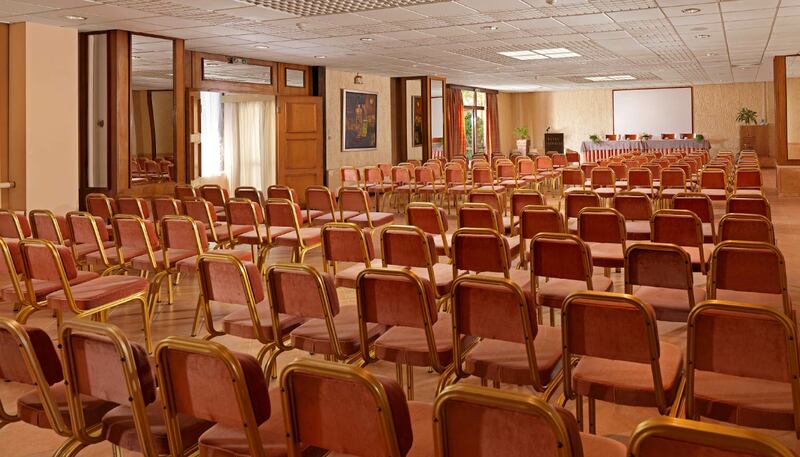 Whether you are getting together for a business meeting, an incentive or a team building session, Divani Corfu Palace offers spacious facilities and a top class service. We can supply a 192 m2 conference room, a 58 m2 meeting room, and a 111 m2 lounge, which can be arranged in a variety of configurations according to your needs. All meeting rooms are equipped with the latest technology, including high-speed WiFi, modern sound systems, advanced projector, and state-of-the-art lighting. You can use the form on this page to send us your details and requirements.